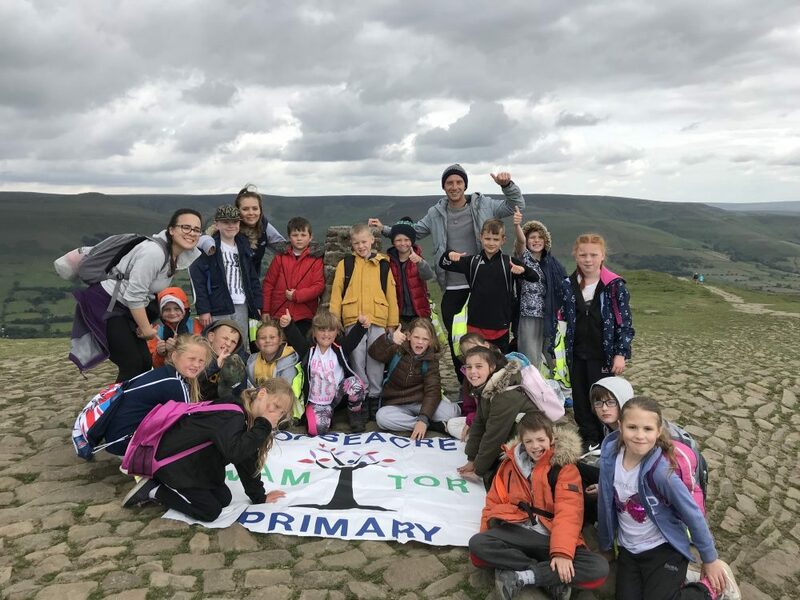 Gooseacre Primary Academy- Silver Award, climbing Mam Tor. Astrea Academy Trust is committed to an education that ‘inspires beyond measure’. Alongside academic learning, this means also focusing on encouraging the growth of a child’s character and personality. Libby Nicholas, Trust CEO, explains why education that goes beyond the classroom helps every pupil to fly. I’m proud to say that ‘Inspiring Beyond Measure’ is not just a by-line of the trust, it drives everything we do. Good test and exam results matter because they pave the way to the next stage of education, training or employment. But our commitment to our pupils goes way beyond that. At Astrea, we aim to instil a number of qualities and dispositions that help every single one of our pupils to fly: resilience, empathy, aspiration, contribution, and happiness. 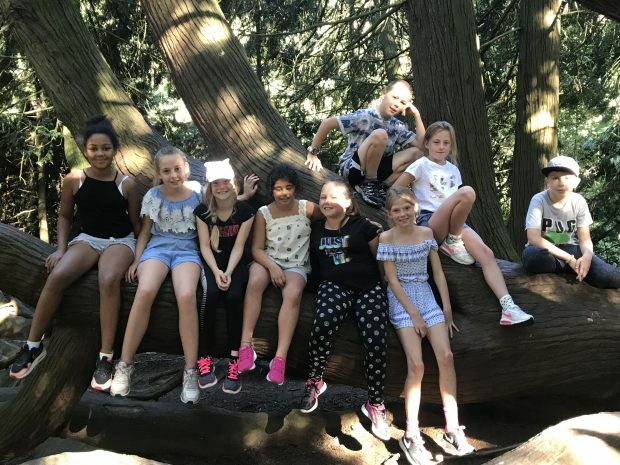 Through the Astrea Promise - our commitment to Astrea children throughout their time with us, we create opportunities and experiences for our pupils to discover, explore and develop these qualities. We knew that to deliver on our commitment of an education that ‘inspires beyond measure’ we would need to establish an exceptional offer that was rich and empowering beyond the narrow confines of formal examination success. To do this, we defined a number of core qualities that we felt should sit at the very heart of every child’s experience of primary school. Ones that encourage pupils to become resilient, empathetic, aspirational, happy, and to develop an appetite to contribute beyond the classroom. During their primary school journey, every pupil has the opportunity to complete the Astrea Promise: a series of projects, activities and events that provide children with the opportunity to develop our pupil dispositions. Dispositions formed from memorable experiences, which help to form the core of their character. At the start of each year, we provide pupils with an award booklet. Each booklet is designed to encourage pupils to record and reflect on the activities they are taking part in during the year. Each activity corresponds to one of the five dispositions, with clear aims and objectives so that they can reflect back on their achievements as they progress towards their award. Gooseacre Primary taking part in another Gold Award, Aspiration activity - visiting a foreign country. Aspiration: climb a mountain, considering the mental and physical determination as well as teamwork and goal setting required. Contribution: volunteer in the community. To contribute back to the community, understanding their place in local society and the positive impact volunteering can have on others. Resilience: to speak on a tricky subject. To research and deliver information that is unfamiliar, overcoming challenges when speaking aloud to an audience. Empathy: working as a group to make an artistic sculpture. Working collaboratively with others, children develop empathy, understanding views and feelings of others. The aim is that each pupil will complete their booklet to the best of their ability – this means that we can adjust each experience to suit each child. This helps remove any barriers that may have prevented a child from taking part or completing their booklet. Sharing and celebrating achievement of pupils with parents is a very important aspect of the Astrea Promise. Upon completion of each award, pupils receive a certificate and badge during the Astrea Promise Awards. These events are hosted by each academy, with many inviting VIPs speakers to present awards. For example, just this week, the Lord Mayor of Sheffield, Magid Magid visited Hartley Brook to spend some time with our children. Across the Astrea family, we use a variety of ways to update families of the progress of their children, including Twitter (using the hashtag #AstreaPromise), the Astrea App and individual school website. As well as yearly school reports and parents’ evenings. Parents have told us that they really value the opportunities that we are able to give their children. I know many schools have similar approaches and it would be great to see even more doing something like this. So the recently published DfE activity passport is therefore great to see. #Teachers, we’ve launched the #MyActivityPassport resource to help boost a child’s confidence and curiosity through a range of activities. The Astrea Academy Trust blog is part of our enrichment series that looks at the work happening in schools to support the development of a child’s character and resilience. We’ve launched the ‘Activity Passport’ – working with the National Trust, Girlguiding and Action for Children, to help primary schools introduce pupils to a wide variety of new experiences to complement their day to day learning, and develop skills for life. Download the editable resource and supporting worksheets from GOV.UK https://www.gov.uk/government/publications/my-activity-passport and why not join the conversation on Twitter using #MyActivityPassport.